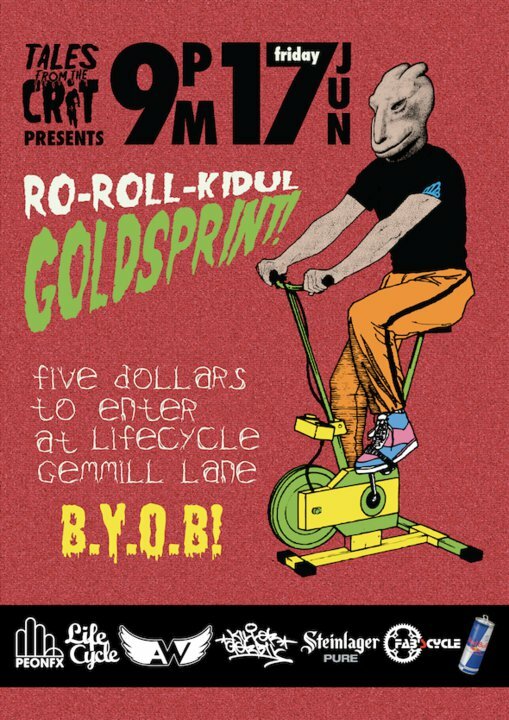 The first goldsprint ever held on Singapura soil. $5 to enter. Trophy, Cash & T-level messenger bag for winner and there will be BIG BIG raffle from our sponsors. Not to be missed! tonnes of prizes!! raffle tixs will be sold that nite. Get your raffle tickets(lucky draw) to win some amazing prizes from our sponsors! Tickets is at $2 a pop. Buy more tickets to increase your chances. See you there! Be there early for Steinlager Pure beer while stock last. Energy drink and sound system provided by Redbull. Cyclist or not, all are welcome to challenge yourself or your mates on the rollers. Come one come all!! This event won't be possible without our kind sponsors.